This is a photo from "The Townie," airing December 3. It's unclear if it refers to Serena, but Blake Lively starred in The Town. That's all. 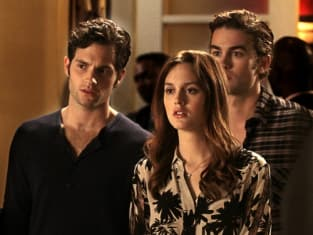 Gossip Girl Instant Reaction: Talk of "The Townie"